The PGA Championship is the last of the four major championships in professional golf. 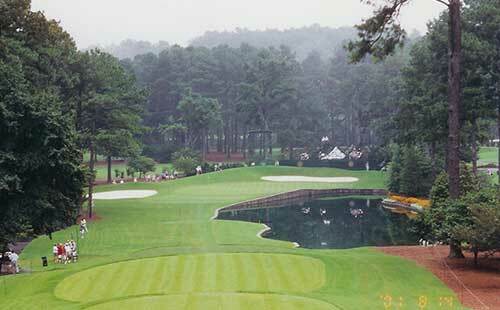 Usually played in August, it follows the three other majors -- the U.S. Open, the British Open and the Masters. It is usually played in August, but in 2016, the 98th PGA Championship will be played July 28-31 so it doesn’t conflict with golf’s return to the Summer Olympics. It will be played at the Baltusrol Golf Club, Lower Course Springfield, N.J.
Booking early has many advantages. 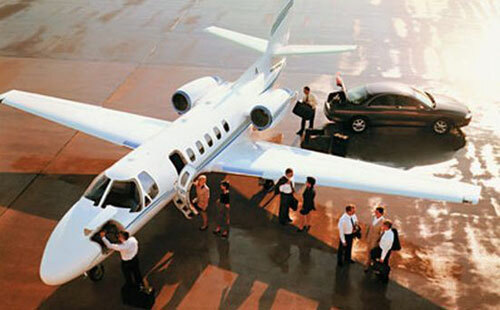 Enter a few details below to start planning your private jet flight to the PGA Championship. 2017: Quail Hollow Club, Charlotte, N.C.
2021: Kiawah Island Golf Resort, Ocean Course, Kiawah Island, S.C.
2022: Trump National Golf Club, Bedminster, N.J.
2023: Oak Hill Country Club, East Course, Pittsford, N.Y. It wasn’t a golfer, it was a businessman who dreamt up the idea of the PGA and the subsequent Championship. Department store magnate Rodman Wanamaker invited 35 movers and shakers in the golfing world and elsewhere to a meeting in New York in 1916. He, of course, saw the marketing possibilities of a professional golf association. After the meeting, which included golf legend Walter Hagen, the PGA was born. Wanamaker put up $2,500 in prize money for the first championship. In 1916, the first PGA Championship was held at Siwanoy Country Club in Bronxville, NY. The PGA Championship’s 2016 $10.5 million purse makes in the richest tournament in golf. The first-place winner gets $189 million; the runner-up gets $1.13 million; the rest is chair-step split among the other finishers, with the third-place finisher getting $714,000 and the 74th-place winner getting $20,160. The PGA Championship is usually played in the eastern half of the United States. It has been west less than a dozen times. New York has hosted the most events at 12 with Ohio (11) and Pennsylvania (9) right behind. More than 100,000 spectators gather to watch the PGA Championship every year. 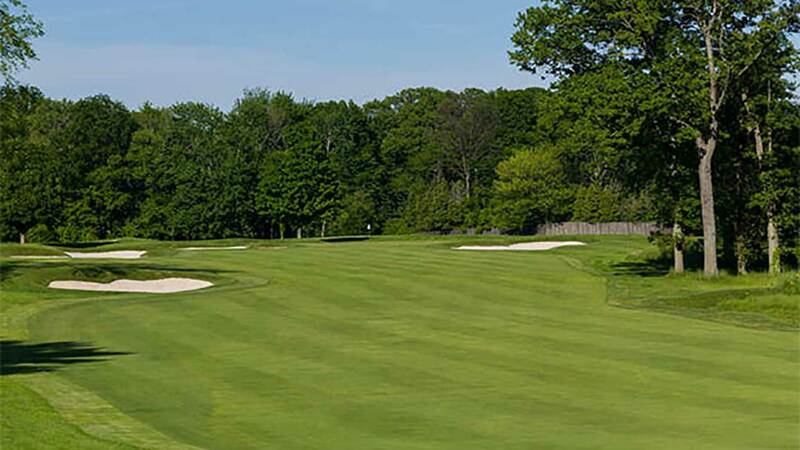 The 2016 PGA Championship will be held in New Jersey. Take a hole-by-hole tour (http://www.pga.com/pgachampionship/course/2016/tour/1 ) of the site, the Baltusrol Golf Club. It’s tough to be in the final pairings of the championship. Listen to Rory McIlroy talk (http://www.pga.com/pgachampionship/multimedia/video/rory-mcilroy-wins-2014-pga-championship-valhalla )about winning the 2014 PGA Championship in the dark. The PGA Championship was not played for two years during World War I and one year during World War II. The PGA Championship has features the largest number of players in the Top 100 of the Official World Golf Rankings of any tournament. Jack Nicklaus competed in 37 PGA Championships, finishing in the top five a record 14 times. In 1971, he became the first to win the Grand Slam of Golf – the U.S. Open, the British Open, the Masters and the PGA Championship titles. Gary Player won the 1972 championship with an amazing 9 iron shot (https://www.youtube.com/watch?v=TgWRJRwF_-Y ) over water and trees for a birdie on the 16th hole. Jason Day is the favorite to win in 2016 after beating (https://www.youtube.com/watch?v=AG3rEC0ShuE ) Jordan Spieth by three strokes in 2015. Cameras are only permitted during practice rounds and are not allowed during the Championship. Fans can get autographs only at the practice range and putting green during practice rounds only. There are rules for mobile devices. You should consult them before taking photos or videos anywhere. Everyone must adhere to the traditional customs of etiquette and behavior. Obey signs and instructions from officials. You can cheer a great shot but no calls onto the greens – positive or negative – are allowed. Stay behind the gallery ropes. Sit or kneel and be still and quiet if you are in the front row.